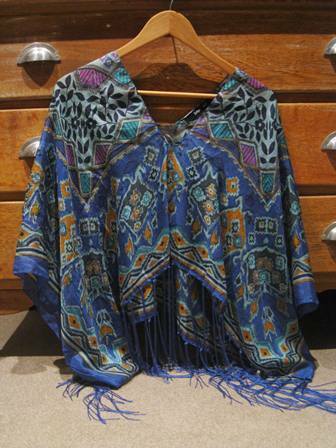 I wrongly described this new bit of loveliness as a blue, Aztec-patterned poncho to my friend T this afternoon. Actually maybe the description was OK. T screwed up her nose and I thought hmmm… now she’s imagining some sort of primary-coloured monstrosity. 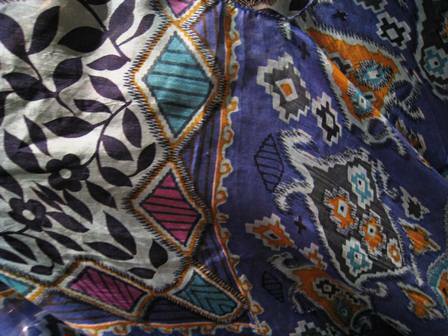 We have different approaches to colour and pattern though, so maybe now she can see it I haven’t changed her mind? 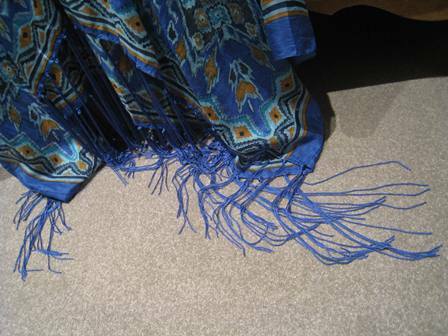 Nah….how can anything with beautiful blue tendril-like fringing be wrong?